Denise is a cycle accurate and platform independent C64 / Amiga emulator. The emulator is developed by piciji. 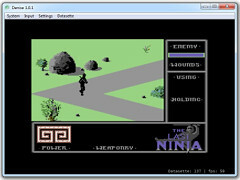 At this moment the C64 emulation is working with cartridge, tape and prg files support.